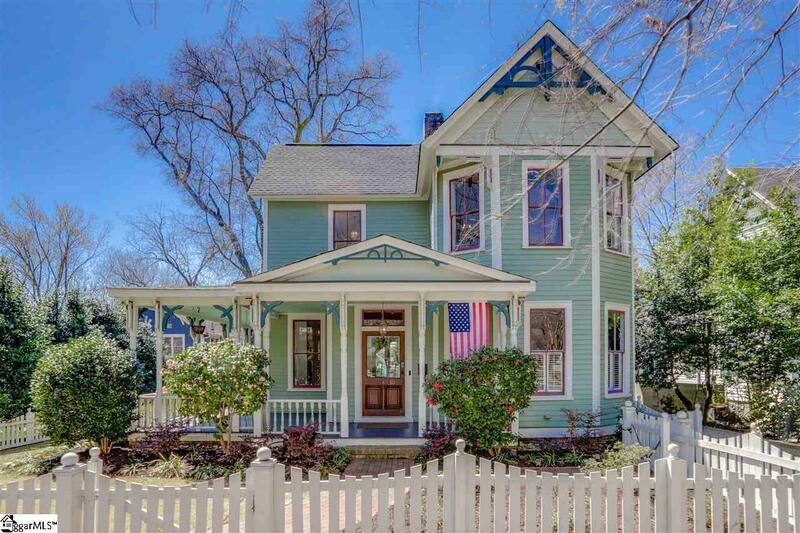 This COMPLETELY RENOVATED and ROMANTIC Victorian estate (in Hampton-Pinckney) is a POSH resort, in the heart of downtown Greenville. 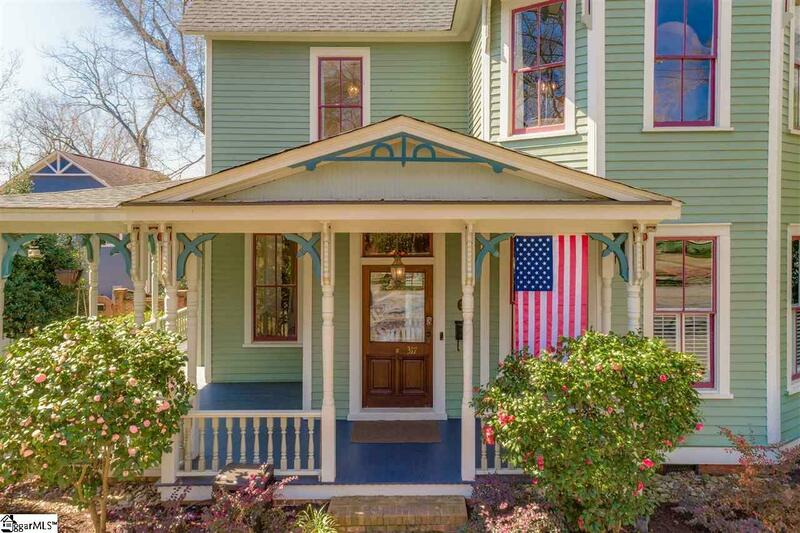 It is WALKING DISTANCE to Main Street, the Swamp Rabbit Trail, churches, the Children's Museum of the Upstate, the Kroc Center, AJ Whittenburg, the Liberty Bridge, Falls Park, ALL parks, the new restaurant hall, and the Farmer's Market. NO OTHER neighborhood downtown has this flat and easy strolling walk-ability, privacy and lot size! Forget looking for parking. Parking is a headache of the past when you live here! If you are looking for a home IN DOWNTOWN with REAL PRIVACY and NO HOA while having the ability to TRULY entertain, look no further! You can throw the LARGEST, private pool parties DOWNTOWN; enjoy the best Greenville has to offer. The seller built a private rear entrance to a detached garage that is also a pool cabana with electric and water hook ups. The NEW pool cabana has LED integrated concrete counter-tops that are a must see! There is a NEW, large sliding decorative gate for private parking access. New landscaping throughout includes sod, shrubs, privacy trees, mulch and irrigation system. The home has a NEW roof, has been completely resurfaced and exterior painted with designer Benjamin Moore colors. The interior walls have been resurfaced and painted with Benjamin Moore colors as well! ALL hardwoods have been resurfaced and stained. There are NEW hardwoods in the bedroom downstairs. The master bathroom has a NEW, over-sized steam shower! The downstairs bedroom closet has been renovated. There is NEW picture railing and crown molding in all areas without historic molding or picture rail. The kitchen and cabinets have been updated. The laundry room has been renovated and includes NEW cabinets. 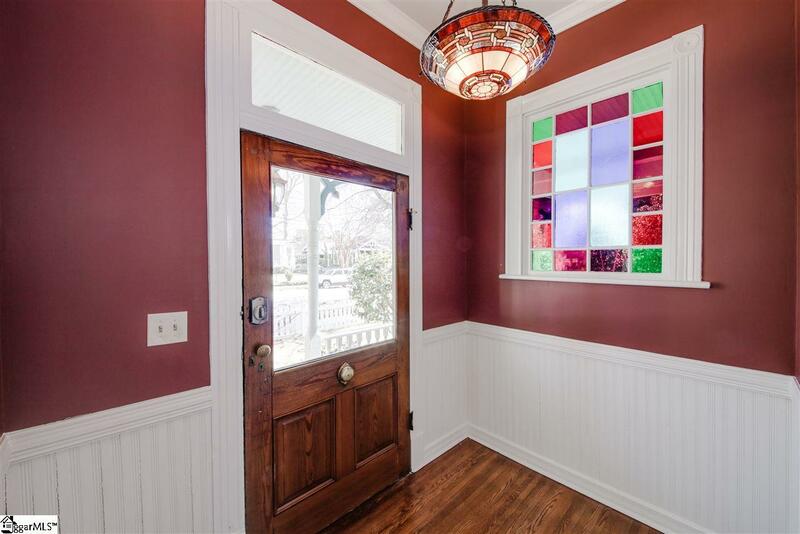 The seller has renovated and installed NEW chandeliers throughout the home. The HVAC system is NEW and includes TWO NEW A/C units, TWO NEW gas furnaces, updated duct work, vents and controlled via phone app from anywhere in the world! NEW speakers have been installed in the kitchen! The master bathroom renovation includes NEW vanities, mirrors, shower doors, and coveted steam shower. The water closets are NEW, the shower doors in the upstairs guest bathroom are NEW! The pool pump, sand filter, chlorinator and pool plumbing are ALL NEW! Window treatments throughout are NEW too! The owner installed a NEW exterior fence to create a private front and side yard for your family and furry friends to enjoy. Even the dual hot water heaters are NEW! Out back you have newly installed LED lights to help romance your sweetheart! After a dip in the pool, warm up by one of the FIVE fireplaces; warm your toes! The home comes with a NEW HOME INSPECTION to boot! 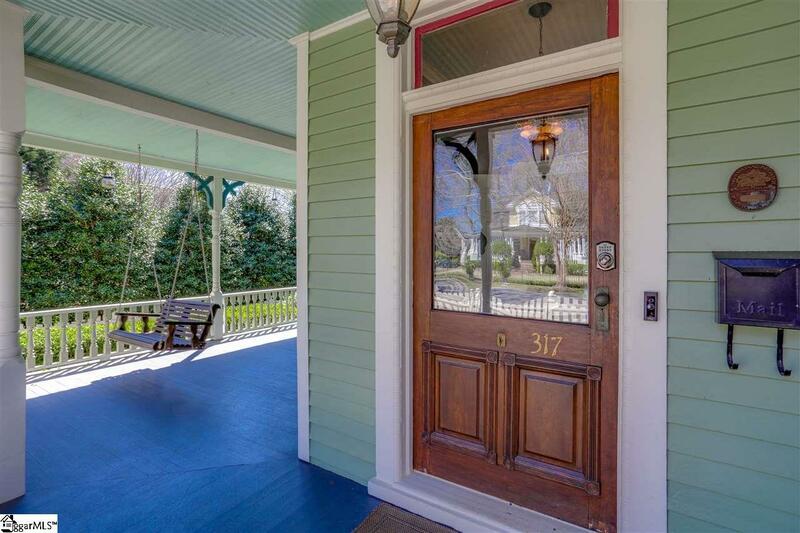 This is essentially a BRAND NEW home remodeled consistent with and respect to the style and design of the late nineteenth century. Anyone can build a new home, very few can renovate and own a timeless and treasured piece of downtown Greenville's BELOVED history.